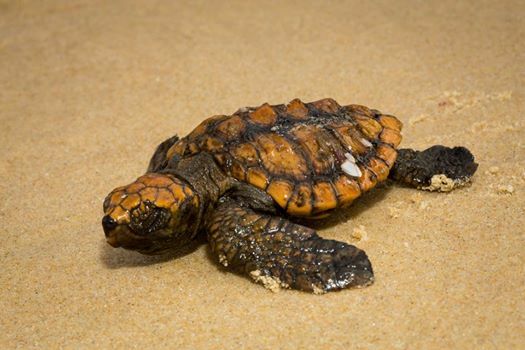 While holidaying at Mallacoota Inlet (far eastern Victorian coastline) some keen eyed kids discovered a lost baby loggerhead turtle (Caretta caretta). Just as the turtle was to be returned to the water, Parks Victoria’s Ron Waters noticed the river was closed to the ocean, spelling disaster for the young sea-goer. Instead, some telephone calls were made and the turtle was taken to the Merimbula Aquarium, where the turtle will be rehabilitated and released by expert hands. What if I see an animal in need? If you see a native animal you think needs help, report it immediately. Even the best intentions to help (as with returning the baby loggerhead to the river) may cause more stress to the animal. It is always best to call an expert for help. Report injured animals to Department of Environment and Primary Industries (DEPI) Customer Service Centre on 136 186. You can also get in contact with a local Parks Victoria ranger by calling 13 1963. Millions of shore birds will be tweeting “See you later, Australia!” as they hightail it out of here in search of warmer weather. Having spent the summer in Victoria’s wetlands and saltmarshes, most will be gone by the 10th May. Shorebirds’ bodies have gone through a series of changes in the lead up to their long journey north. Fatter bodies, skinny legs, bigger heart muscles and brains wired to be half asleep and half awake at the same time will help these birds on their continuous journey north. Where can I spot a shorebird before it leaves? Two rare nocturnal animals have recently been spotted in the Grampians National Park. In December, cameras set up in the bush captured pictures of a Long Nosed Potoroo (left). 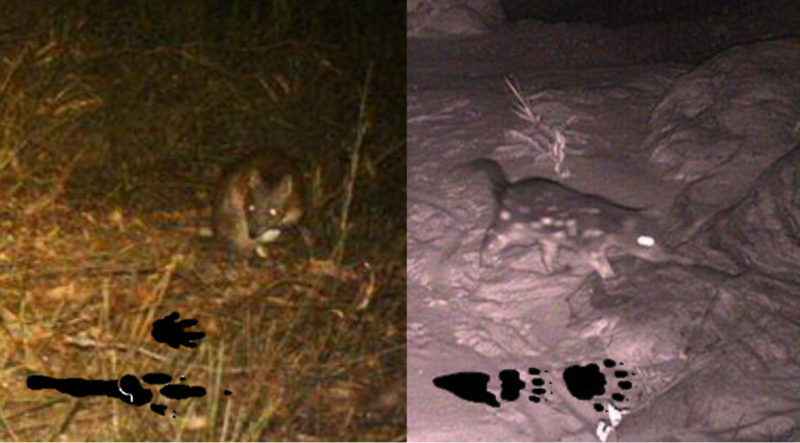 Then in February they also caught a glimpse of a Spotted-tail Quoll (right). Both these animals are very rare, with the Spotted-tail Quoll thought to be extinct for the last 140 years. This is very good news for the animals living in the Grampians National Park because it suggests the environment is healthy and there aren’t too many pests or predators hanging around. “We have been undertaking extensive fox control and other conservation works across this landscape for decades, and we know those efforts are paying off” says Ranger in Charge Dave Roberts. Potoroos and Quolls are nocturnal, meaning they are awake at night hunting for food and sleep all day. While you might not see these rare animals in person, you can still search for clues that they were there by looking for their footprints, shown in the picture above. Which other animals you find in your local park? Check out our Wildlife Detective activity to help hone your skills and find hard to spot animals. Cuvier’s Beaked Whale has just won the title of Deep-Dive Champion, with a record breaking dive of 3km holding its breath for a staggering 137 minutes. Extreme breath holders – Why and how do they do it? Deep dives are usually in search for delicious squid and fish. Finding food at the bottom of the ocean isn’t easy though, especially for an animal that is used to spending most its time at the ocean’s surface. Deep down temperatures are much colder and there is a lot of pressure pushing on thier body, plus mammals can’t breathe underwater! Marine mammals have special ways of dealing with these tough conditions. For example, whales send all their blood closer to their brain, keeping the most important parts warm. Some marine mammals also have collapsible lungs to cope with the high pressure. Thier lungs spring back when they return to the ocean’s surface, just like opening your drink bottle after putting it in the fridge for a while. Cuvier’s Beaked Whale also has a special way to store oxygen in their muscles, meaning they don’t have to breathe as much as usual. These adaptions mean that marine mammals can dive incredible depths and hold their breath for extreme lengths of time – they’d certainly have an unfair advantage at your beach party! 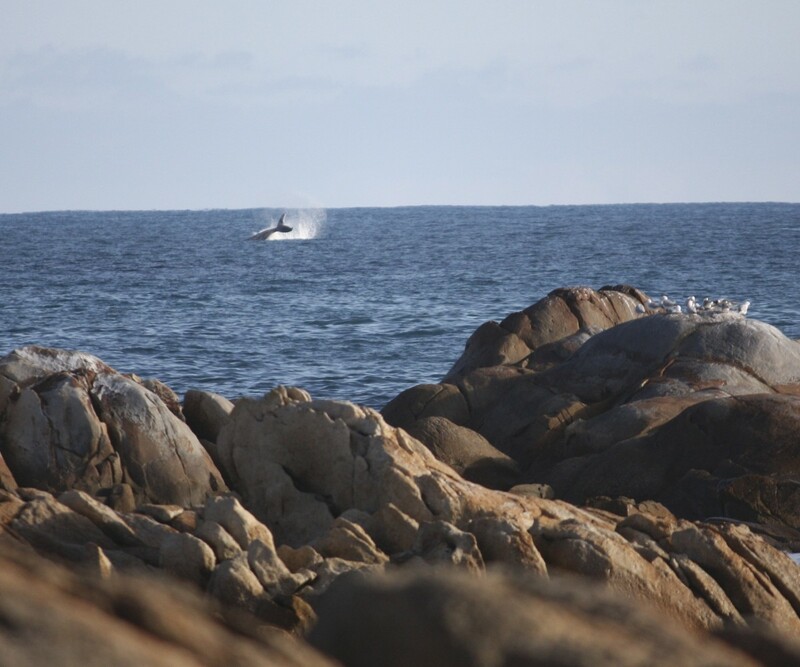 The best time to catch the whales along the Victorian coastline is between June and September. This is when the whales come north to escape the icy cold Antarctic winter. One of the best spots to catch a glimpse is along the Warrnambool coastline, or in the Twelve Apostles Marine National Park. Although Koalas are just as cute as bears they are actually more closely related to wombats! Like wombats, koalas are marsupial mammals – that means the female koala carries its young in a pouch. The name koala comes from the Aboriginal word meaning “no drink” as koalas get over 90% of their water from eucalyptus leaves. Koalas only drink when they are sick or during times of drought when there is insufficient moisture in the leaves they eat. Koalas have broad, flat heads with large round hairy ears, flat noses, short, stocky bodies, short legs and large feet with very sharp claws. They are covered in thick ash-grey fur with white on their chest, forelimbs and rump. Koalas that live in the cooler southern parts of Australia have a thicker coat of fur. Their bodies are rounded due to the capacity of their large intestines required to digest eucalyptus leaves. FASCINATING FACT! Koalas spend 20+ hours each day SLEEPING and resing due to the low amount of energy they obtain from their leafy diet. It’s not just laziness! They are generally more active at night and communicate using loud grunts and squeals. Koalas are often called fussy eaters as they feed almost entirely on only fifty of the 500+ species of eucalypt leaves. An adult koala will eat up to ONE KILOGRAM of leaves each night. 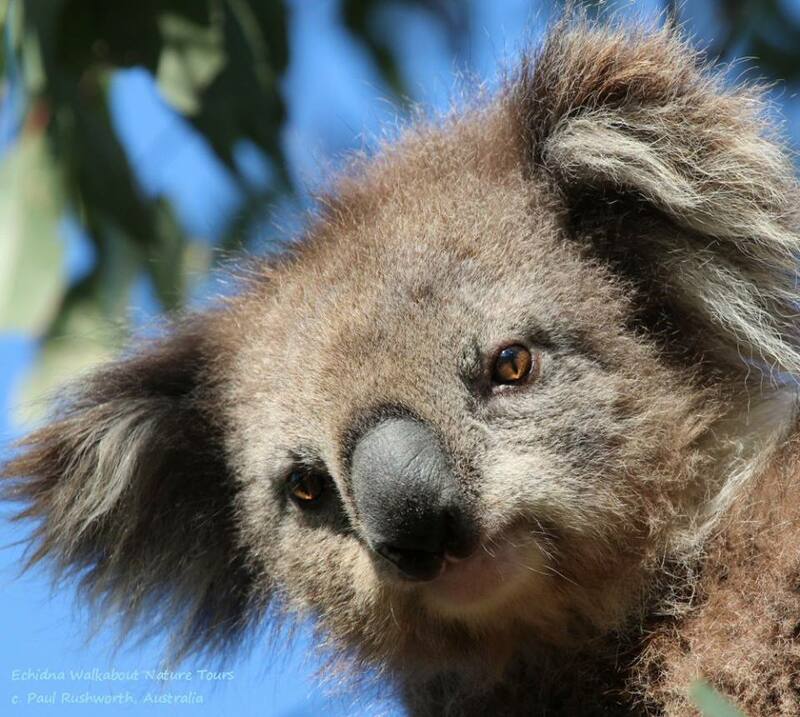 Different species of eucalypts grow in different parts of Australia, so a koala in Victoria would have a very different diet from one in Queensland. KOALA SPOTTING! These school holidays you can spot Koalas living in many parks including the Great Otway National Park, Mt Eccles National Park, Grampians National Park, Barmah National Park and French Island National Park. Take a photo and send it into the JR gallery! 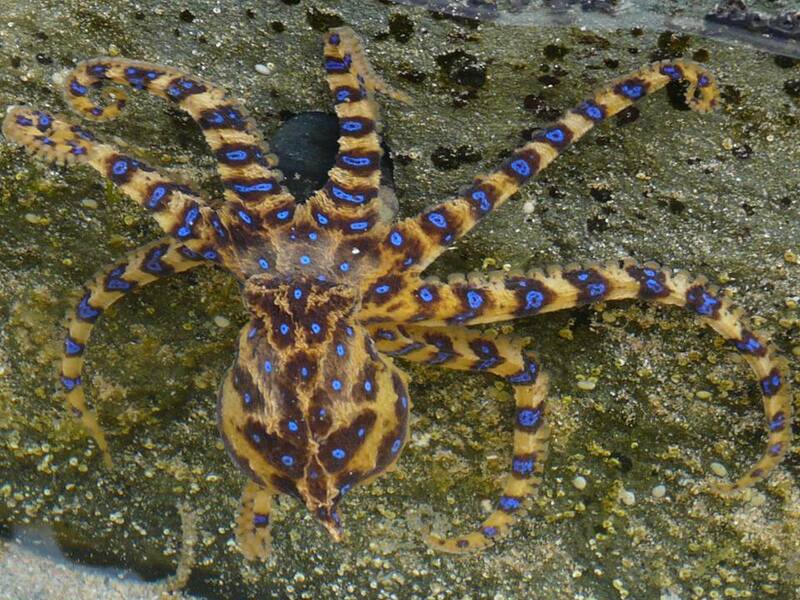 This beautiful but deadly blue-ring octopus was photographed near Skenes Creek by Ranger Sylvia. Rockpool rambling is a favourite Summer acitvity for many families and there are plenty of wonders to be found along Victoria’s rocky shores. Just remember to keep your fingers where you can see them to prevent any nasty surprises, avoid handling any plants or animals, and leave everything just as you found it. What’s up with the wildlife? What’s keeping the Rangers busy? What’s growing and going on around Victoria’s parks? Find out here on the JR blog and keep up to date with all the latest Junior Ranger news!